What could be better than a fresh bouquet of flowers blended with notes of honeysuckle and peony? Dior Star is a pleasant surprise for any woman. This floral fruity fragrance can be worn at office or on casual dates. 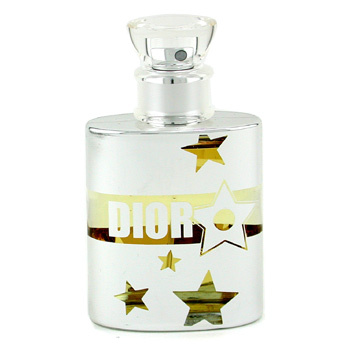 Dior Star has a powdery touch you will enjoy day after day. Strawberries and watermelon are the yummiest fruits of summer. Imagine them mixed together in a fragrance, can you do that? 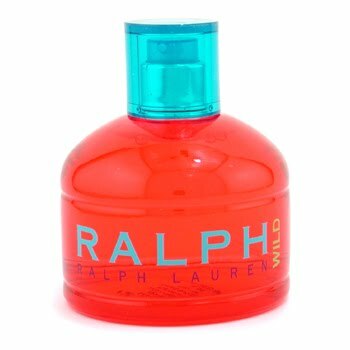 Because if you don`t, you should take a sniff of Ralph Lauren`s Ralph Wild fragrance, a floral fruity aroma with notes like cherry blossom, red rose, jasmine, sandalwood and musk. It`s very fresh and sweet, perfect for teens and young girls on a hot summer afternoon. Famous brand Lancôme launches a new perfume in June 2010. Entitled O D`Azur, this one is a luminous and fresh fragrance with top notes of zesty Calabrian lemon and bergamot, followed by peony and Turkish rose petals and ending with pink pepper, woody notes and musk. Available as 2.5oz and 4.2oz edt, it should be something special. Did you know about Paris Hilton`s fascination with Marilyn Monroe? Well, if you didn`t, you might want to know that her newest fragrance is dedicated to her idol. Called Tease, this perfume is a chypre-floral-oriental and it`s a mixture of fuji apple, white peach, white flowers, blond wood and also hot sand. It will soon arrive on the market and it features Paris Hilton as Marilyn Monroe in the advertising campaign. Sweet summer days need a special perfume. 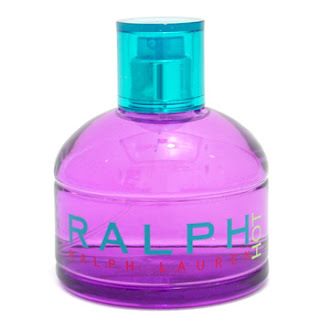 Ralph Hot by Ralph Lauren promises to pamper you with its cheerful notes such as spices, lime and amber, but also delicious almond blossom and vanilla, jasmine, geranium and sandalwood. Being categorized as oriental vanilla as an olfactive group, this fragrance promises to be your summer signature scent. 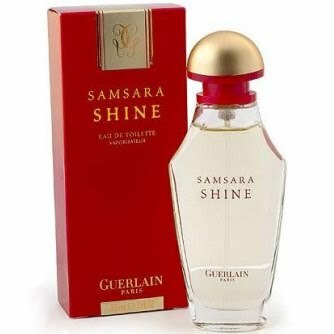 Samsara Shine from Guerlain is an adorable sparkling oriental fragrance with a signature base of tonka bean, sandalwood and vanilla. A mixture of green notes, citruses and fig leaf, this one is as cool as the original Samsara, a little bit strong, but also warm. A Fragrance for the elegant and sophisticated woman in you. 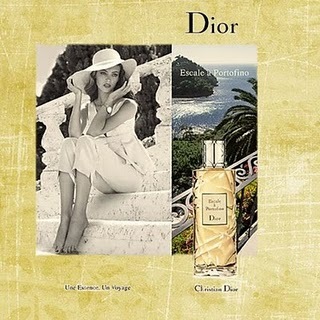 Dior `s Cruise Collection first products, Escale a Portofino and Escale a Pondichery has become richer with the launching of its third perfumed member, Escale aux Marquises. It is dedicated to the Tiare flower from the Pacific, its composition incorporates orange blossom, pink pepper, cinnamon, nutmeg, cardamom and other notes. The package is characteristic for the Cruise Collection, available in 2.5, 4.2 and 6.7 FL OZ. Enjoy your cruise! Translated as flower of the night, the Badgley Mischka fragrance all makes sense now. The white floral scent has subtle hints of lush green notes, exotic fruits and glowing amber. With such a burst of scent and floral tones, the perfume truly is a flower of the night. It radiates perfectly through the night light just as it will off of your skin and into the nose of your love. You may attract a few admirers along the way as well. This simply named perfume has more than a simple blend of scents. Sugar Eau de Parfum by Fresh combines fresh citrus and light scents with very unique notes. Hints of bergamot and Brazilian sweet orange are present. Soft floral notes of white lily and heliotrope blend well with the base notes of caramel and vanilla. This perfume is great for anyone who is tired of the typical floral blend for most women. With not so average ingredients, be sure to wear everywhere you go. 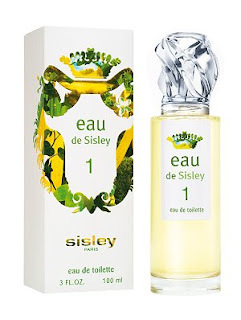 Eau de Sisley Collection Eau de Toilette includes three fragrances, Eau de Sisley 1- cheerful and romantic, Eau de Sisley 2 – lively and joyful and Eau de Sisley 3- insolent and provocative, now available also in smaller dosage, together they embody three faces of the same woman. It suggests spontaneity and elegance and it`s a perfect choice for the summer. This beautiful and unique bottle has a royal touch. Clive Christian's 1872 for Women Perfume Spray was created by following the original methods and formula of the Crown Perfumery. The bottle is styled such as the original perfume bottle used in 1872. The base of scent is of cedarwood, sandalwood and patchouli. The heart or essence of the scent is lily of the valley, rose de mai, jasmine and orchid finishing with tops notes of bergamot, tangerine, lemon and pineapple. For all beauty addicts, good news - Calvin Klein is launching a new fragrance called Beauty. It celebrates elegance and sophistication, suitable for mature women, oozing self-esteem. With top notes such ambrette seed, heart notes of jasmine and base notes of cedar, the elegant bottle comes in three sizes, 30, 50 and 100 ml. The image of this perfumes celebrating femininity is actress Diane Kruger. 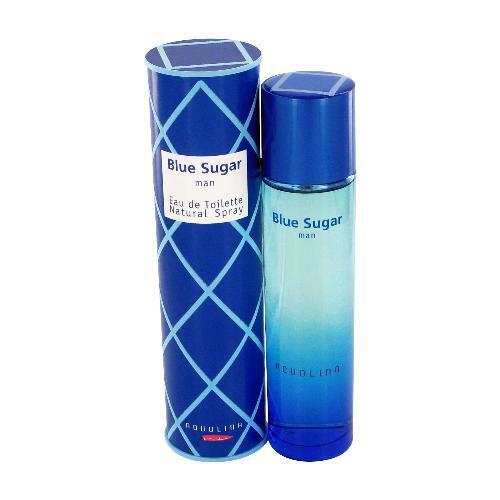 If you`re into sugary, very sweet perfumes, then Blue Sugar by Aquolina might do the trick for you. It is a woody aromatic fragrance for men, with top notes of mandarin orange and bergamot, followed by patchouli and lavender and licorice and cotton candy for sweetness. If you want your man to smell like hot caramel, why don`t you offer him a sweet and manly present at the same time? DKNY Fresh Blossom Art Limited Edition by Donna Karan with its bottle decorated with pink dots promises to bring spring and romance in our lives. Launched in 2010, its luminous and playful notes come from mixing grapefruit and French blackcurrant, followed by romantic aromas such as lily of the valley, jasmine and rose and, not surprisingly, apple. Such fun! 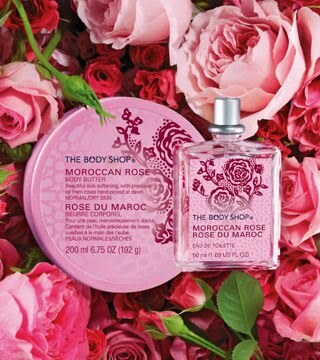 If your favorite flower is rose, then you can`t miss this perfume - Moroccan Rose by The Body Shop. Launched on Valentine`s Day 2009, it is an intoxicating aroma mixing lemon oil, vanilla, musk and other spices. You can also find a body milk and body oils to match the fragrance. Perfect for young women and casual wear. For a touch of roses, go for this one! What Could be More Feminine? I must admit that when I saw the bottle of the new Thierry Mugler perfume Womanity I said to myself-what a work of art! Yeah, it`s the kind of thing you want to have on your night-stand. Believe it or not, the savory notes of this perfume derive from caviar, which is most original. It is composed of sweet notes and fig wood aroma. It has not been launched yet, you will have to wait until Fall to get it. Do you like unisex fragrances? 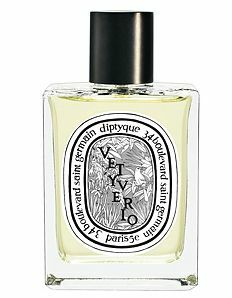 If the answer is affirmative, then you should check out the new Vetyverio scent called Dyptique, launched this month. Its ambivalent nature derives from blending masculine vetyver with feminine rose. Its opening notes are citrusy-a mixture of mandarin, lemon, grapefruit and bergamot which is followed by a flower bouquet composed of ylang-ylang and rose, while the base is musky. Dear to wear it! If you`re in search of a sweet and lovely perfume, look no more. Songbird by Dawn Spencer Hurwitz is the answer, a fragrance inspired by vibrant song birds, innocent and youthful, yet complex. 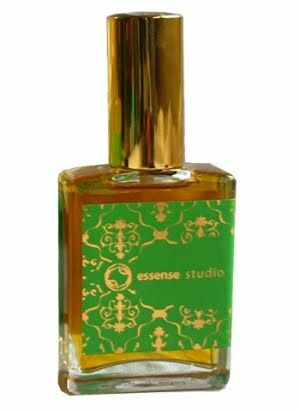 It`s a mixture of red and green mandarin, violet and sweet pea, gardenia and jasmine, with a final note composed of musk and vetiver. You can also purchase the body lotion and the shower gel. Cheerful! To celebrate 100 years of beauty, Elizabeth Arden launches cute collection of seven products,among which a new version of its original perfume Pretty, called Pretty Eau de Cologne Splash, scented candles in porcelain package Scented Candle Floral Essence of Red Door, also a set of miniatures, Elizabeth Arden Fragrance Garden Bouquet Coffret. The perfume is refreshing, with a floral-aquatic touch to it, a mixture of white peach and granita watermelon. Ready for a Really Cool Aroma? Antidote by Viktor &Rolf is described by its makers as “the magical elixir that turns all that`s negative into positive”. Classified as oriental-woody, it is a refreshing fragrance for men, it is composed of bitter-sweet grapefruit, mandarin, bergamot, mint, Guatemalan cardamom, jasmine, cinnamon and orange blossom, but also freesia and violet. Vanilla makes it even yummier, while white musk, incense and patchouli spice it up. It has won an award for the best package in 2007. A really eye-catching perfume is Bryant Park by Bond No 9 for Women. Just check out the cool design of the bottle. It is a perfume oriented and connected to fashion. A mixture of rose and patchouli, spiced with pink pepper, lily of the valley, and rhubarb. Good option for a birthday present. Cabotine by Gres is a perfume created with love and enthusiasm, becoming a classic of the 1990`s.Very light and easy to wear, it is a mixture of ginger lily, pear, blackcurrant buds, plum, coriander, but also rose, tuberose, tonka bean, cybet, cedar wood and vanilla, freesia, violet and iris. 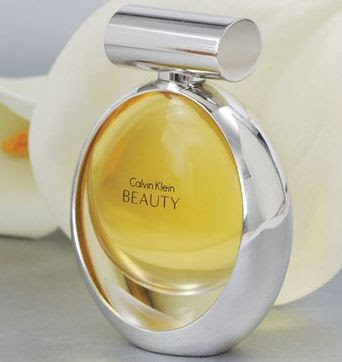 The bottle is shaped as a flower and it belongs to the olfactive group of chypre floral.